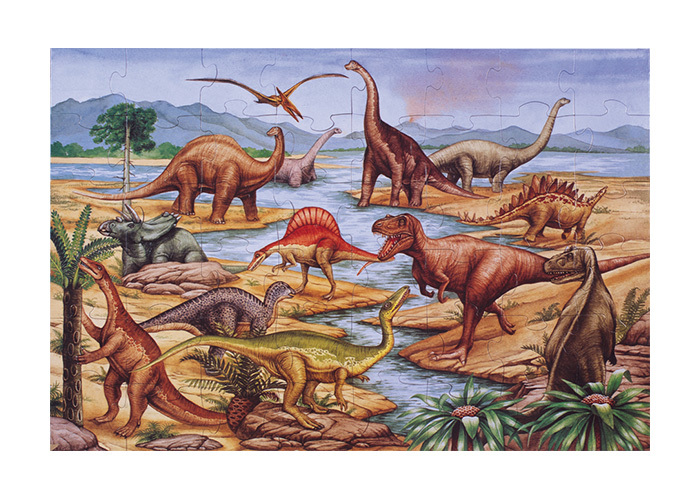 This big (2′ x 3′) 48 piece floor puzzle is perfect for 4 years and up (or a 3-year-old genius like your child). Large pieces mean there’s no accidental vacuuming up of a crucial piece. Also it’s harder to lose them down behind sofa cushions. Does it sound like I speak from experience?